Court, on 27th and Cherry in Kansas City, Mo has been directly defying it. Contact news outlets by phone calls, letters, or emails telling them that you want to see this story rigorously followed by their news organization and that this story and stories like this are important to you. If you would like to be part of an action group to rally for Noah Levi Bond's return home or even create your own action group to rally for Noah Levi Bond please email me Ibbaanika Bond at friendsofnoahlevibond@yahoo.com. If you feel lead to do so you can contribute financially by clicking the donate button. (You don't need a pay pal accout to donate.) Any amount helps, even $10 or less. This case has cost over $500, 000 so far and it is a complete miracle that we have been able to come up with the money. We have worked multiple jobs and saved everything we can, and our family has helped all they can, but its been incredibly hard. 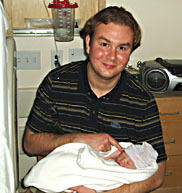 Even before I obtained a lawyer and attempted to get my parental rights back, Noah's father, Craig Lentz, who never signed away his parental rights and did everything the state said he had to do to establish his paternity, had gone to court to try and keep his child from being adopted against his will, and bring him home. The Jackson County Family court, however, said that under a new law, section 453.030 of the Missouri Statutes, he had no right to his son and would not allow him to present any evidence of his paternity or parental fitness. The Jackson County Family court found that the new law only enacted 4 months before Noah's birth, stated that if a father hadn't gotten on the birth certificate within 15 days of his child's birth, his consent isn't required, and his child could be adopted against his will. The Supreme Court of Missouri, however, said correctly, that there was nothing in the law that said that if after the 15 day period the father got on the birth certificate, that his being on the birth certificate was null and void. In fact, the Supreme Court said, correctly, that being on the birth certificate was by state law, a finding of paternity, and that as such Craig Lentz had followed the law and had the same legal rights as a married father. The Jackson County Family court was saying in essence that even if a father got on the birth certificate on the 16th day after the child's birth that even 10 years later a third party could come and take the child because the father missed the deadline by a day and therefore his paternity was null and void. This is simply not what the 15 day law of 453.030 says. The Jackson County Family Court refused to obey the law. Craig also had a DNA test, and the local family circuit court barred DNA from being admitted. This is also against the law. Missouri is a state where the state itself can request a DNA test for a child that a man presumably fathered. If he doesn't voluntarily give that DNA the local Sheriffs department will arrest him, handcuff him, take blood and test for DNA, and, if that child is his, make him pay child support. Failure to pay child support is a criminal offense in the state of Missouri and so if he doesn't pay he will go to the penitentiary. It is outrageous that the same court that does this to men all the time, did not permit a man that wanted to present DNA, take responsibly for his child, and pay child support to do so. He had been involved and supporting his son from the time he found out I was pregnant but the local court deemed that to be inadmissible. They gave Noah to the Taylors and told Craig and I that we were under a gag order. Craig's case went to the Supreme Court of Missouri in December of 2006. The Taylors tried to have the Supreme Court case put under a gag order but the Supreme Court denied their request. Craig won unanimously. The case was then sent back down to the Jackson County Family court so that there could be a hearing on parental fitness, and when Craig was allowed to present evidence that he was a fit parent Missouri state law says that he was supposed to get his child back. Many people do not understand why this case was sent back to the local level if Craig won unanimously. I have been asked many times about why the Supreme Court didn't just give Noah back. That is a legal question. In Missouri, state law says that there has to be a hearing on parental fitness before a child who's not in their parents' care can be returned to their parents' care. The Supreme Court is the top appellate court in the state. As an appellate court it cannot hold the regular proceedings that a trial court would hold, such as a hearing on parental fitness, and come to a legal conclusion. As an appellate court the Supreme Court is limited to evaluating the conclusions that a local level trial court comes to and deciding if the facts match the evidence, if that court followed the law, and if those laws they were supposed to follow were constitutional--that is, were the laws legal themselves? In this court case the local court did not allow Craig to have a hearing on his parental fitness and so before Noah could be returned to him there had to be a hearing on parental fitness and that is why the case had to be returned to the local level Jackson County Family court. Though it may sound crazy those are the rules the state has laid down and even the Supreme Court has to follow them. The problem is, when Craig got back to the local Jackson County Family Court they refused to give him a hearing on parental fitness. In fact, the commissioner refused to acknowledge that the Supreme Court had made a finding that Craig's paternity had been established. He made Craig pay $500.00 and have another DNA test even though the DNA test he had already had was accepted as evidence by the Supreme Court. Of course the results of that DNA test were the same as the first. Craig Lentz was Noah Levi Bond's father. Under Missouri state law 453.040, once paternity is determined by DNA--paternity is established. Still, even though Craig had established his paternity in court three times, once by placing his name on the birth certificate and twice by DNA, the Jackson County Family court refused to let Craig present evidence of his fitness as a parent, and refused to acknowledge the Supreme Court of Missouri's finding that his paternity had been established---that he had the same rights as any married father under the Missouri state constitution and the United States constitution. The Jackson County Family court then let the Taylors just file a third adoption petition even though the other two adoption petitions that they had already filed were overturned by the Supreme Court of Missouri. This was illegal. This child was not adoptable without the legal father's---Craig Lentz's---consent, but this court just did whatever it pleased. The main reason that was stated on the Taylor's petition for the adoption and termination of Craig rights was that he had neglected and abandoned his son for 6 months prior to the filing of this third petition for adoption. This was stated because in Missouri part of the law (RSMo 453.040) is that a parent has to neglect or abandon a child for 6 months prior to the filing of a petition for adoption for the child to even be adoptable, otherwise anyone could just steal anyone's child through the court system, whenever they wanted to. The Supreme Court had already made a finding that Craig Lentz did not abandon his son. Craig was winning in the Supreme Court three months prior to the filing of the Taylors' third petition. He also sent a check for $450.00 for child support, though he was never ordered to pay child support, which the Taylors received a day before they filed this third petition for adoption. However, the Commissioner just gave an order for the date of filing to be back dated six days and let the Taylors file the third petition for adoption anyway. Then the Jackson County Family court just kept scheduling hearings and at the last minute the commissioner would cancel them. He canceled one for a procedural reason a week after the Supreme Court's decision was finalized. Two months later he canceled the hearing because he "had a divorce that was running long." This was illegal because according to state law contested adoption proceedings are supposed to be heard before all other hearings because the permanency of the child is of utmost importance. Three months later the Commissioner gave an all summer, three month long extension to the Taylors because their attorney Cheri Cole Simpkins' 9 month old son might have to have a tonsillectomy that he never had. That Commissioner was removed from the case for letting the Taylors have that extension. The new commissioner Molly Merrigan tried to have a hearing at the end of July of 2007 but the Taylors' attorney Cheri Cole Simpkins said that "no time would be good for her until the end of August," so the court sided with the schedule of Cheri Cole Simpkins over the best interest of my son Noah Levi Bond and just let her have the extension, though legally neither side was supposed to have any continuances. In August, Commissioner Molly Merrigan was supposed to have a hearing on the adoption and Craig's fitness as a parent. At that hearing she finally acknowledged, and gave an order stating, that indeed Craig's paternity had been established, and that it had been a finding by the Supreme Court that he was Noah Levi Bond's natural father and that his paternity was established. As such the adoption petition should have been dismissed then, because Craig was a fit parent and he did not consent to the adoption of his son. Instead though, Commissioner Molly Merrigan refused to have a trial and started a 211 DFS investigation on Craig, the kind of investigation the DFS normally does on people who have abused their children, even though he had never abused or neglected his son and had never been accused of any abuse, neglect, or wrongdoing. At the cost of the taxpayers Commissioner Molly Merrigan had Craig investigated up one side and down the other---just like a person that committed child abuse would be, only he never committed any abuse. She only gave Craig supervised visitation---just like a child-abusing parent would get though there was never any abuse. A court date was then set for October 22, 2007 where the petition for adoption was to be decided and the DFS investigation was to be decided. On October 22, 2007 the juvenile officer for the DFS dropped the investigation against Craig because he had never done anything wrong and he was a fit parent and the DFS therapist recommended a six week plan for reunification with his son. As such, the court had no jurisdiction and they definitely should have given Craig's son back to him. But Molly Merrigan continued on with hearings on the adoption petition. In court it was revealed that the Taylors had actually been breaking the gag order, that they had requested, for three years with a blog that chronicled the way that they planned to steal baby Noah, which was posted on-line. This blog also revealed in their own words that they had been committing welfare fraud and lying to the court about it, that they were mean to Noah when his parents sent gifts, and that they were planning to flee the country with baby Noah. In this blog Megan Taylor describes herself as semi-stable and talks about how she wants Craig dead when he sends his son a Christmas present because it would simplify her life. Though the court allowed this to be entered into evidence, Commissioner Molly Merrigan said that she thought it was normal for these things to be written, given the stress of the trial and that even though specific information was posted by Megan Taylor about trial dates and their outcomes on the internet, Commissioner Merrigan said that she didn't think that the blog violated the gag order the Taylors had requested. On January 1, 2007 Commissioner Molly Merrigan terminated Craig Lentz's parental rights for the exact same reasons that the Supreme Court had already overturned. She directly defied the Supreme Court of Missouri and cut off all visitation that Craig had with his son immediately. Craig didn't even get a chance to tell Noah good-bye. Craig had been visiting with Noah twice a week in Craig's home for seven months, planning for Noah's homecoming. Noah is a very sweet boy and has gotten very close with his father and his grandmother as well. He told them "I love you" all the time. He has his own room at Craig's home that he calls his room, with toys he picked out and furniture bought just for him. Now his room sits empty and according to Commissioner Molly Merrigan Craig will never see his son again. This is a kidnapping. The Supreme Court of Missouri already decided that Craig was Noah's legal father. He did everything he was supposed to, as required by the state, to establish himself as Noah's legal father---as was found by the Supreme Court. Through a DFS investigation the state has declared him to be a fit father and found that he never abused or neglected his son. Commissioner Molly Merrigan cannot just terminate Craig Lentz's parental rights and cut him out of his son's life forever just because she feels like it. That is illegal--and that is what she is trying to do. She is defying both the Missouri state constitution, the US constitution, the Supreme Court of Missouri, and the Missouri state laws governing adoption. The Supreme Court found that it could never be found that Craig abandoned his son, and in fact, this accusation was completely groundless. It is illegal for the Jackson County Family Court to just ignore the Missouri statues on adoption, the Missouri state constitution, and the rulings of the Missouri Supreme Court and do whatever it feels like. Courts are governed by laws, if they weren't a judge would have the same power as a king. As a society, if we value freedom, justice and peace, we must stand against courts that break the law. Understanding the Supreme Court's decision. The Supreme Court of Missouri was doing its job and following the law when it overturned the Jackson County Family Court’s decision. Reiterating the rights that Missourians already have under the the Missouri Constitution, the U.S. Constitution, and the laws that govern adoption in the state of Missouri was a great service to the people of this state. Though the overall decision was right, some of the details surrounding the facts of our case were not. It is important to realize that this is not the fault of the Supreme Court, and to understand why it's not a person has to look at the way the Supreme Court works. I wanted to take this opportunity to clarify these details and give an explanation of why these misstatements of the facts would be included in the official decision of the highest court of this state. First, Craig Lentz never signed his son into foster care ever. I Ibbaanika Bond am the only person that ever signed Noah into foster care and I only did that once. It was done behind Craig's back and he had no knowledge of it. Neither Craig nor I ever signed Noah into foster care in Kansas City or anywhere else ever. The reason why I signed Noah into foster care that one time is I had been living with a family while I was pregnant and attending the university and hadn't seen my own family for more than four months because I was hiding my pregnancy from them out of shame. The family I had been living with while I was pregnant had been helping me care for my son and they said they would care for my son while I saw my family for Christmas but that I had to sign a foster care agreement for liability reasons and that they would give my son back to me when I came back to get him after the Christmas holiday. When I came back to get my son, they gave my son back to me like they said they would. These people were not the Taylors or the Taylors' friends Eileen and Randal Baker. I was a young mother and naive about the foster care laws. Even though these people I had been staying with were people I considered my friends and even though they gave my child back to me I should not have left my son in anyone's care because foster care laws in Missouri make it incredibly easy to steal a child through the foster system and knowing what I know now about foster care laws I would never have done that. Regardless, none of that is Craig Lentz's fault. He didn't even know about it. As soon as I told Craig that I had signed Noah into foster care he immediately wanted to go down and get his son out of foster care, which we did. 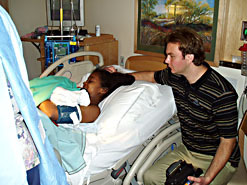 While I was pregnant I had been receiving counseling from The Lutheran Children and Family services. Though my son was staying with a family I met through The Lutheran Children and Family services, the foster care agreement had been through The Lutheran Children and Family services, not that family specifically, because that family worked with The Lutheran Children and Family services. I trusted the The Lutheran Children and Family services because I thought it was an arm of the Lutheran church. Actually it is adoption agency that has absolutely no affiliation with the Lutheran church whatsoever. When I decided that I wanted to keep my son The Lutheran Children and Family services were very angry about it. They threatened to take us to court, but in the end they gave me my son. They made Craig and I sign a document before they would give our son back. The document was a document saying that we were removing our child from foster care. When Craig signed the document he signed “Noah's father” next to his sons name because he has a different last name than Noah. He was waiting on the results of the DNA test that he had ordered and in case they did try to take us to court he wanted that document to denote that he was Noah's father. It is important to note that none of these factual inaccuracies are the fault of the Missouri Supreme Court either. 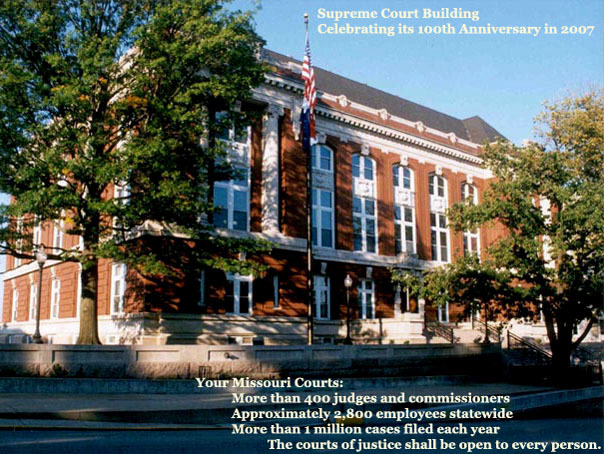 The explanation of this comes from the nature of the Missouri Supreme Court itself, its purpose, how it operates, and how as an appellate court it differs from trial courts. A common misconception about Supreme Courts is that they simply rehear the cases from the lower court over again, evidence and all. But the truth is that appellate courts-- Supreme Court is the highest appellate court in the state, don’t rehear the facts of cases. Supreme Courts and all other appellate courts aren’t fact-finding courts like trial courts are. Parties in cases (meaning the people involved in the case, in this case Craig Lentz and the Taylors) can’t present new evidence to the Supreme Court. Also, the Supreme Court has to treat the findings of fact that a lower court made as facts. This is something that most people don't even know about and once they do, they don't understand and really don't fully comprehend. The way that it works is at the end of a trial both parties' lawyers present to the court their own findings of facts and conclusions of law. These findings of facts and conclusions of law are a proposal to the court that both sides make about what they think the court ought to find were the facts of the case, and a proposal of how the court ought to find that the law should be applied in the case. Both sides see things differentially so its the judge's job to carefully consider what the facts of the case are and how the law should be applied in this case so that their decision is legal, law abiding, and serves justice. In worst case scenarios, however, you can get courts where the judge or commissioner doesn't do their job. Instead of carefully considering the facts of the case and the laws surrounding it the judge may just sign one party's proposal regardless of what it says, and regardless of whether or not it has any basis in the truth or follows the law. That party's proposal then becomes the opinion of the court and all the lies and misstatement of fact that they proposed in this wish list of lies that they presented to the court magically become the “facts of the case.” The Supreme Court then must decide the case upon these “facts” regardless of how ridiculous they are or whether or not they have any basis in the truth or not. This is a little know aspect of our court system and it is dumbfounding to most Americans when they learn of it. An example of this would be if the Taylors put in their proposal that Craig was Godzilla and they could get the commissioner to sign off on that proposal and then the judge signed off on what the commissioner signed, then it would magically become a fact of the case, and the Supreme Court would have to actually deal with the ridiculous idea that Craig Lentz is a 300 ft tall fire breathing lizard named Godzilla as if it were a literal fact-- no fooling, thats the law. The Supreme Court could remedy this situation in three ways. They could either choose to say that it is irrelevant that Craig Lentz is Godzilla, say that the evidence does not support the conclusion that the local court came to that Craig Lentz was Godzilla, or say that the law that the state passed that says a person's child can be taken away because they are Godzilla is unconstitutional and must be overturned. The Supreme Court and appellate courts can not change these so called “facts” that are really lies. What they can do is look at whether or not what the trial court based their fact findings on the real facts that were in the evidence. They can also say that regardless of whether or not something is a fact it is irrelevant and the conclusion of law that the local court came to was wrong because the lie that they called “fact” was irrelevant to the conclusion they should have been coming to legally. In our case, in both local level trials, the Taylors’ lawyer, Cheri Simpkins, made up ridiculous fabrications with no basis in reality or evidence and the Jackson County Family court just signed off on them. This may sound surprising but it's important to note that this isn't the only time that this has happened and we aren't the only people it's happened to. This is the same lawyer that took away Gary and Cynthia Stocklaufer's baby by proposing that Gary was “too fat to adopt.” The Jackson County Family court just signed off on that ridiculous proposal too though it was later overturned by another court after it made international headlines and caused a firestorm of public outrage. To see a story on that case click here. What the court that overturned the Stocklaufer case essentially said is that it doesn't matter if Gary Stocklaufer was fat, no one can steal his child because of that. What the Supreme court in our case said essentially said was that even if all the hateful lies Cheri Simpkins made up about him and got the Jackson County Family court to sign off on were to be seen as “facts of the case”, Craig Lentz still legally would deserve his son back, he never abused, neglected, or abandoned his son. The point of why I am writing this though, is that Craig Lentz has been made to look bad, extremely bad, for three years when this is entirely untrue. I have never seen a father more dedicated to his son than Craig is. He has gone above and beyond for his son. I am afraid that when people read the Supreme Court opinion they will believe misstatements like that he signed Noah into foster care and think that he is an irresponsible jerk that won in the Supreme Court on a technicality. This isn't the case. The Supreme Court of Missouri had all of the facts of the case in front of them and was able to make a just decision based on what the actual facts that were in the evidence were. Moreover, their ruling reflects that even if all the hateful lies Cheri Simpkins made up about him and got the Jackson County Family court to sign off on were true, Craig Lentz still legally would deserve his son back, he never abused, neglected, or abandoned his son. Craig Lentz called me everyday to check on his son, many times a day. 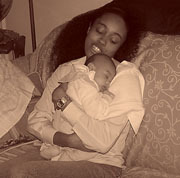 He supported me from the day he found out I was pregnant. He has spent every dime he has made and all of his free time for the last three years trying to take responsibility for his son and defend Noah from people that obviously do not have his best interest at heart though none of this is his fault at all. I, Ibbaanika Bond, am this child's mother and I know better than Cheri Simpkins, the Taylors, or the Jackson County Family court whether or not Craig signed his child into foster care and what his intentions really were. Isn't it amazing that the Jackson County Family Court has made claims and findings that state different facts than the ones I gave when asked about what Craig Lentz did. How is it they know better than the child's own mother--were they there? No. That is why there have been all these gag orders and attempts by the local court to cover up the facts of this case. Many times in these cases they can get the mother to sell the father out and then the man is left alone to fight for his child, or they try to steal the woman's child and the man is not around and the woman is left to fight for her child alone. In this case they have decided that even when a woman is obviously coerced out of her baby by illegal means and the dad is a good father and wins his case in the Supreme Court they will just directly defy the Supreme Court and steal the baby anyway. As citizens of a free nation we must stop this court from doing this, this must not be allowed to go on. Read the Supreme Court's decision for yourself. Understanding the Supreme Court's decision. Megan Taylor vows in her blog to get the Supreme Court justices removed from the bench because they followed the Missouri State Constitution. My Space Page--Add yourself as a friend to show your solidarity against this injustice.